Some of the courses you will want to see are The Hermitage, Gaylord Springs and Greystone. While there are others these are the ones I rate at the top of my list and here is a brief reason why. Greystone will catch your attention as soon as you pull into the course. You will notice the rolling hills with the beauty of the natural grasses. The zoysia fairways will give you that perfect lie every time you are in the fairway and the greens are so true that you cannot complain about them at any time. This course will lull you into a sense of comfort and then the last 4 holes will jump out and grab you. The par 5 17th is in my opinion the best hole on the course both design and aesthetically and is one of the reasons it takes a back seat to nobody. Gaylord, many say is the best course in the area. It offers you a resort style feel to the course with it being mostly unprotected from the wind by trees, yet the fairways are framed with many man made mounds that will give you a nice visual when you step up on the tee box. Designed by US Open and PGA champion Larry Nelson, offers challenges for golfers of any skill level. The links-style course demands accuracy to stay clear of the deep bunkers, water hazards and rolling grass mounds but also requires creativity and a soft touch around the undulating, MiniVerde Bermuda grass greens. This course can bring you to your knees while allowing you to enjoy some of the most breathtaking views of a golf course that you will ever see. The Hermitage offers two of the finest courses in the Nashville area as well as the state of Tennessee. 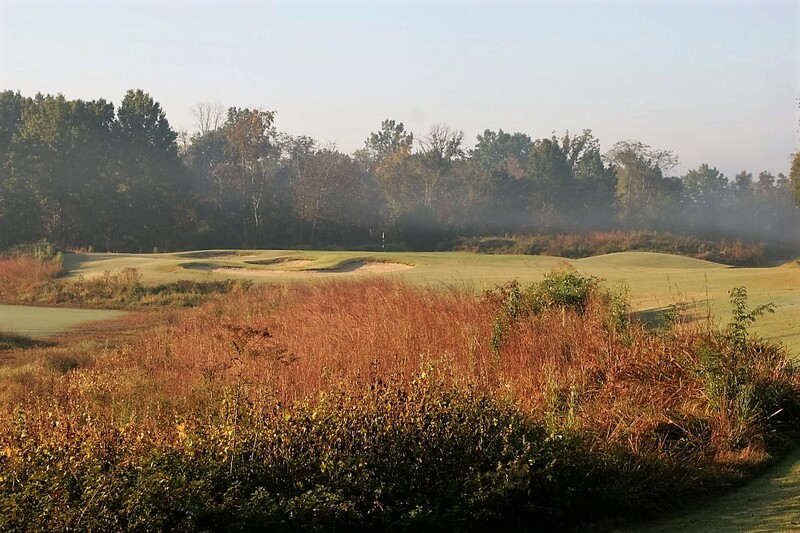 These courses are located along the Cumberland River which creates an amazing setting of golf as well as some beautiful natural wetlands along the river. The Hermitage General’s Retreat hosted the LPGA Sara Lee Classic from 1988 – 1999 and is definitely a must play when in the area, while the newer President’s Reserve has become the more recognized of the two since its inception. I had the opportunity to sit down with Jim Vernon the General Manager of this fantastic facility. We were able to find out what Jim feels makes his facility and the city of Nashville special. Let’s see what he had to say. What kind of style would you consider the golf courses at your facility? "In architectural style lingo, I guess the Generals would be considered parkland style and the President’s is more of a native style with the natural wetlands and untouched areas." Tell me about what you feel are the signature holes on each course. "Can you describe what makes them special? The courses don’t have signature holes per say, but the number 11 holes on each course garner the most praise/comments, etc. Both are demanding driving holes with trouble on each side. 11 on General’s is a risk/reward par 5 with a tough layup and third shot over water, or long difficult second shot over water. 11 on President’s is the highest point on the property and a really scenic par 4 with natural wetlands surrounding the hole and view." Can you recommend any restaurants or watering holes that may be of interest to our customers that would give them some of the Nashville flavor when they come into town? "For bars, maybe the Patterson House which calls itself a “speakeasy” or Rumours East - more casual is The 5 Spot or The Flying Saucer. Can’t beat Robert’s Western World on Broadway for beer and music, but it’s always jammed with tourists. Restaurants are all over the map and Nashville’s food scene if off the charts with new places opening all the time. Some of my favorites: Dan’s or Arnold’s– best meat and threes; breakfast spot – Biscuit Love; Hattie B’s for hot chicken; The Southern and any restaurant at Five Points in East Nashville. I could pick 20 more easily!" What do you think makes Nashville Special? "I think what makes Nashville special is that it truly has something to offer everyone: professional sports, college sports, great music of all types, art, great food and drink, symphony, green space and more. Plus, it’s still a small enough city that it’s relatively easy to get around and have a community feel." While we were talking Jim also made sure to bring up all the great courses that are in the Nashville area that makes it a wonderful golf destination. Gaylord Springs is also one of the area’s most recognized courses that is a true test of golf. Jim said you better bring your “A” game to Gaylord or else you will leave shaking your head. Old Fort and Greystone are two totally hidden gems in the area as well. You cannot go wrong with either of these beautiful country courses. Nashville has a number of great golf courses and with all there is to do it is a place that as a golfer I would be upset if I didn’t find out about. Truly feel blessed to have the courses available to us in this region and hope that more people find out about it. I truly believe from the numbers that the word is getting out and it will not be a secret for much longer. While I am not saying that Nashville will take over Myrtle Beach or Pinehurst as a recognizable golf destination simply because there is not as many courses and that is not how the city plans to market itself. But, if you have not been to Nashville to play golf and enjoy all that Nashville has to offer you are definitely missing out. As Nashville will take a back seat to nobody when quality of play is concerned.